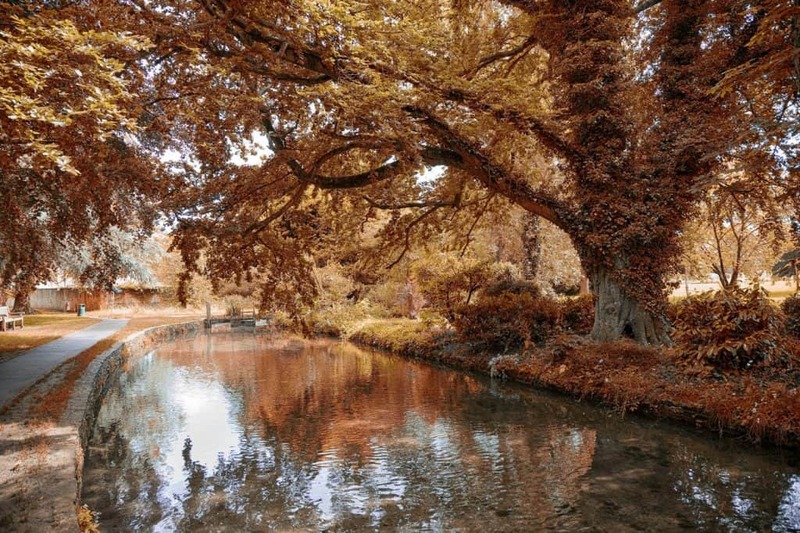 It's officially autumn now, and you know what that means – darkness comes a bit earlier, pumpkin-spiced things are showing up everywhere (in the US, anyway), and it's time to start watching Halloween-appropriate television shows. 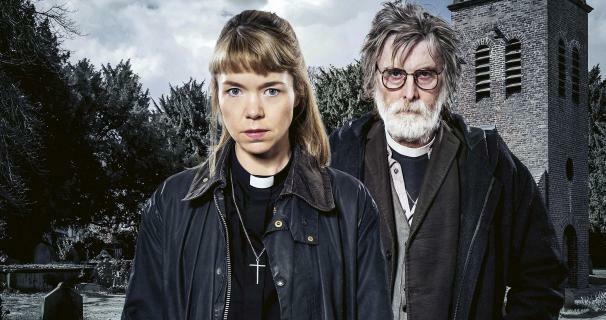 Luckily for us British-TV lovers, the UK has produced a lot of supernatural content. I suppose that's no big surprise considering they effectively GAVE us Halloween (which evolved, at least in part, from the Gaelic Samhain festivals celebrated throughout Ireland, Scotland, and the Isle of Man). Because murder mysteries are a year-round thing in the UK (and because they seem to make up 50% of their total programming), I've left those out. This list is strictly for programs with witches, magic, ghosts, and other supernatural phenomena. Some of the titles are relatively rare, so they may only be available on Amazon UK (and often, Region 2 titles are cheaper there anyway so it's always worth checking). US residents can order from both regular Amazon and Amazon UK. 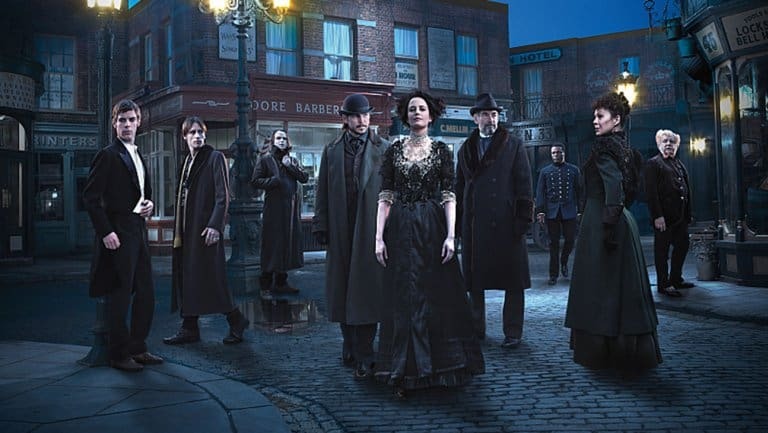 Penny Dreadful – This British-American horror series is set in Victorian London and features a number of ghastly, ghoulish characters from 19th century British and Irish fiction. Dracula, Van Helsing, Frankenstein, and Dr. Jekyll all appear. Streaming now on Netflix and Showtime. The Worst Witch – Mildred Hubble is a just a normal little girl living with her single mother – until a young witch flies into her balcony and changes everything. Suddenly, she's competing for a place at witching school and fending off typical adolescent mean girls who also happen to have magical powers. Streaming now on Netflix. 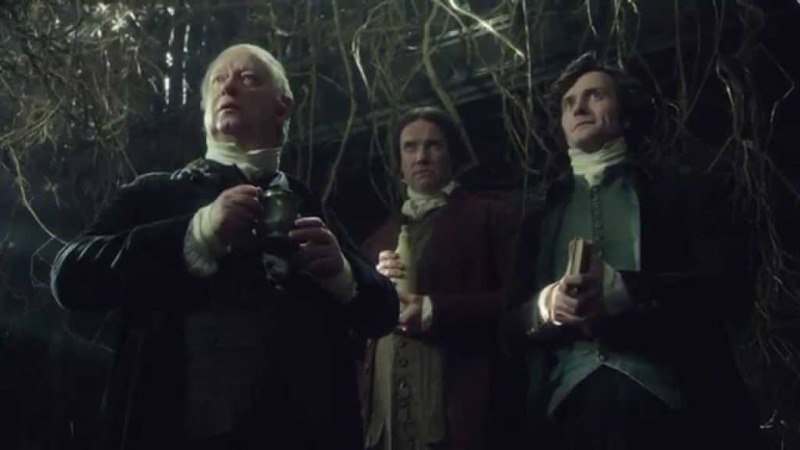 A Discovery of Witches – An academic and reluctant witch finds a mysterious manuscript in Oxford and realizes she can't deny what she is any longer. Unfortunately, this new series isn't yet available in the US, but it's airing in October 2018 in the UK and it will be on Sundance Now in the US in mid-January. The Secret of Crickley Hall – After their young son goes missing, a couple escapes to Crickley Hall in an effort to rebuild their lives. Though it seems perfect at first, it doesn't take long before strange things begin to happen. Stars Tom Ellis (Miranda, Lucifer) and Suranne Jones (Doctor Foster, Scott & Bailey). Available streaming on Amazon. You can also get it on DVD or even pick up the book. Residue – In this show that blends sci-fi and the paranormal, we see a futuristic UK city under siege by some sort of ghostly phenomenon. Photojournalist Jennifer Preston (played by Natalia Tena of Harry Potter & Game of Thrones) is hindered by a government coverup as she tries to piece together what's happening. Also stars Iwan Rheon of Game of Thrones and Misfits. Now streaming on Netflix. The Canterville Ghost – Based on a novella by Oscar Wilde, this one has been remade several times for film, television, and even radio. You can get the streaming rental here at Amazon, but they only have the Patrick Stewart version (it's also on DVD). There's also a TV version with the delightful Bernard Cribbins, but we've been unable to locate that one. The Canterville Ghost tells the story of a family that moves to a castle haunted by the ghost of a dead nobleman, Sir Simon. Try as he might to scare them, the family refuses to be frightened and poor Sir Simon is utterly humiliated. Mulberry – Mulberry is an apprentice to the Grim Reaper, and he's been sent to collect Miss Farnaby. Instead, he becomes a member of her staff and tries to help her enjoy whatever extra time he can win for her. Mulberry is only available on Region 2 DVDs (requires a region-free DVD player), and you can get it from Amazon or Amazon UK. The Enfield Haunting – Set in 1970s, this miniseries takes you through the very strange events unfolding in an ordinary house in Enfield, North London. It's available on Region 2 DVD (which requires a region-free DVD player to play). 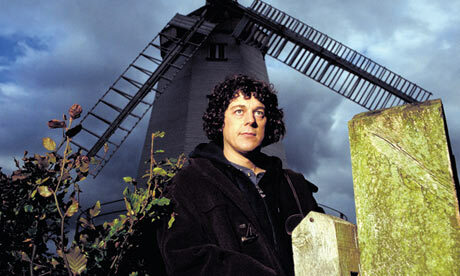 Jonathan Creek – Jonathan Creek is a brilliant behind-the-scenes creator of magic tricks who discovers he also has a talent for solving murders. Over the years, he partners with several different co-investigators as he tackles seemingly unsolvable crimes. Everything aside from Series 1 is currently streaming on BritBox. 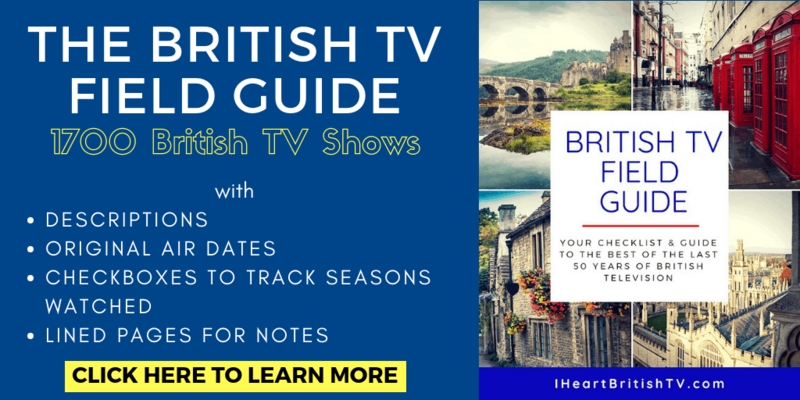 The Series 1 DVD is extremely expensive in Region 1 format (for North American DVD players), but if you have a region-free DVD player, you can order a less expensive Series 1-4 DVD from Amazon, or even the Series 1 DVD from Amazon UK. Magic of Houdini – Alan Davies (of Jonathan Creek fame) visits New York and explores the history of famed illusionist Harry Houdini. Streaming now on Netflix. Merlin – This retelling of the classic tale showcases a young and increasingly powerful Merlin when he was just a servant to Prince Arthur of Camelot. Now streaming on Netflix. Did we miss one of your favorite scary British shows? Let us know in the comments! The Living and the Dead, currently on Amazon. Two series I enjoyed: Hex and Demons. River with Nicola Walker on Netflix! 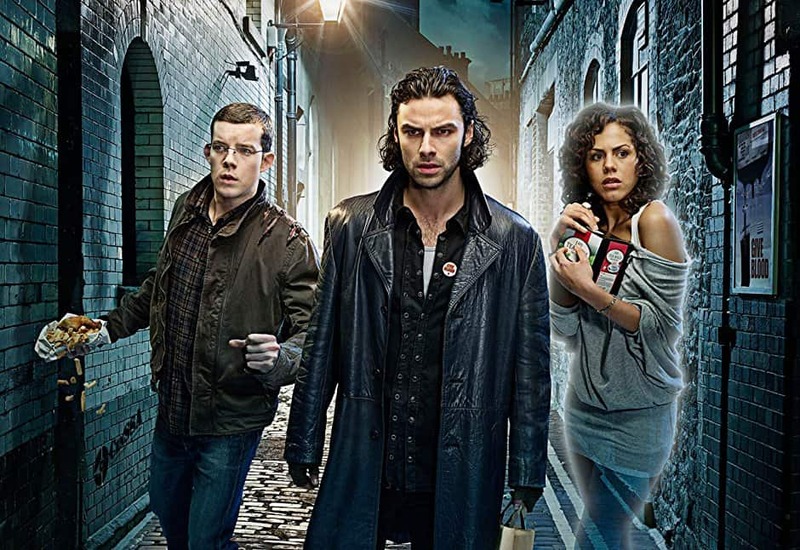 HEX was one of the best tv series to come out of the UK. Kept me enthralled in all the characters. Hex is set at a remote English school, Medenham Hall.